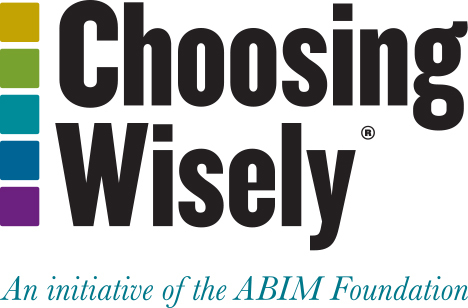 Before launching Choosing Wisely®, the ABIM Foundation gave a grant to physician researchers at Johns Hopkins Bayview Medical Center (Bayview) who sought to accomplish the goal of reducing unnecessary tests and procedures. This project led to a large reduction in the use of blood tests to assess symptoms of heart attack and chest pain, and more than a million dollars in savings. The 2011 grant, part of the Foundation’s Putting the Charter into Practice grant program, supported a project aimed at reducing the use of cardiac biomarker tests, such as troponin, and two kinds of creatine kinase tests (CK and CK-MB), which are used to evaluate patients suspected of having acute coronary syndrome (ACS). Clinical guidelines recommend against using troponin more than three times in a 24-hour period, and using troponin as the sole test, using CK or CK-MB testing only if troponin is unavailable. Nonetheless, a recent study found that 85 percent of institutions combine troponin with additional biomarkers. At Bayview, providers routinely ordered troponin as part of a panel with additional biomarker tests, and more than 20 percent of patients received each of the three tests more than three times in a 24-hour period. A project team led by then-resident Marc Larochelle, MD, decided to take on the issue. Dr. Larochelle said the genesis for the effort arose from discussions about overuse at a Bayview clinical meeting. He joined a workgroup focused on reducing unnecessary care, and performed a chart review that confirmed the group’s suspicions that testing for cardiac biomarkers was overused at the hospital. The research team devised an intervention that included dissemination of an institutional guideline to physicians and staff and changes to the computerized provider order entry system (CPOE). The institutional guideline mirrored the clinical guidelines: use only troponin and do so no more than three times within 24 hours. The research team conducted informational sessions for the internal medicine and emergency departments to explain the initiative and guideline, and issued a pocket-sized reference card summarizing the recommended practice to all hospital providers. The CPOE was altered by removing orders for cardiac biomarkers other than troponin from standardized order sets, and removing troponin itself from all order sets except two used for evaluating symptoms associated with ACS. A duplicate order pop-up warning (which could be overridden) also appeared when a troponin level test was ordered sooner than six hours since the previous test, or when a clinician sought to order another biomarker. The system was also changed so that only physicians could order biomarker testing. Larochelle credited the quick change to the support the project received from leadership, including the hospital president, the chair of medicine, and the cardiology department, including Jeffrey C. Trost, MD, Director of the Cardiac Catheterization Laboratory and Co-Director of Interventional Cardiology. Indeed, by the end of the yearlong intervention, appropriate ordering of biomarkers increased from 57.1 to 95.5 percent. This resulted in a 66 percent reduction in the number of tests ordered, and a $1.25 million (50 percent) decrease in charges. The reduction was sustained over the course of the year, leading Dr. Larochelle to suggest a cultural shift had taken place. Meanwhile, the diagnosis of ACS actually increased slightly compared with the expected baseline rate, suggesting that the reduction in test ordering had in no way compromised care, while reducing the number of false positive test results, which can lead to downstream cardiac tests such as noninvasive stress testing, echocardiography, and invasive procedures such as cardiac catheterization and percutaneous coronary intervention. The study’s findings were reported June 28 by LaRochelle, Trost and three co-authors in the Journal of General Internal Medicine. the ABIM Foundation. © 2019. All rights reserved.